White threatens 14. Nxe7 double-check. Far more powerful than 14. Nxe7 Qb7, 15. Nxc8 Raxc8, and Black gains control of the open c-file. Blocking 15. Bd5. Now, White has gained a piece! With material and strategic advantage, White will ultimately capture Black's remaining pawns. The Evans Gambit, the purpose of which is the control of d4. White does not desire the outcome after 17. Bg7 Bf6, 18. Bxh8 Bxh8, 19. Nc3 b6. Black, with his Bishop Pair, gains equality. White's pressure on the center would be too much for Black to handle, i.e. 25....d5, 26. Bf3. If 25....Bh6, then 26. Bc4. Any attempt by Black to remove the beleaguered Bishop would also prove futile. If 25....Bd7 or Bf5, then 26. Bc4+ Ke8 27. Qxe7+ Bxe7 28. Nd5 and White gains a Bishop. Garry Kasparov demonstrates for us the power of the Bishop Pair. Two Bishops working in tandem constitute one of mightiest forces in chess. An attempt by Black to destroy White's central pawn structure. Black took the poisoned pawn. Now the fight tension is increased. Now, White threatens mate at b7. Black has no choice. If 19....b6, then 20. Bxb6 cxb6, 21. Qxb6+ with a mating attack. If 19....c6, then 20. Bxc6 Qf7, 21. Bf4+ Ka8, 22. Qa5! and mate next move. If 23....Re7, then 24. d6! Rxd6, 25. Nxd6 cxd6, 26. Qd8+ and White's attack becomes overwhelming. Black loses after 25....Kb8, 26. Qa7+ Kc8, 27. Qa8+ Kd7, 28. Qxb7+ Ke6, 29. Qc6+ and White captures either Rook. Garry Kasparov proved once again that he can demolish an opponent in a short time. The following game is a fine example. White intends to post his Knight at f5, and he can only do that if the e6 pawn is eliminated. The c4 pawn cannot be taken because of the Bishop's pin on d5. White dismantles Black's pawn structure. Connected pawns at the center poses a serious threat. A bad place for the Queen, as will be shown by Black's next move. Black prevents a double-check. The move also immobilizes White's Knight because of a pin by Black's Queen, threatening Qxh3. Fantastic! The move threatens 18. Nxf6. Effectively removing White's pin on f5. Now White threatens 20. Nxg7. If the Knight is taken, as in 20.... Kxh7, White threatens mate by 21. Qh5+! Black realizes futility after 23... Kg7, 24. Qh6+ Kxf6, 25. Bg5 mate. "One of the most pleasing forms of attacking play is seen in speculative sacrifices which are made intuitively. To be able to sense the potentialities in a position is one of the hallmarks of a master." -- Fred Reinfeld. White threatens to win the Black Queen by Nc6. Now if 8....Nxe5, then 9. Nxf6+ Bxf6, 10. dxe5 Bxe5, 11. Be4 Qxd1, 12. Rxd1 Rb8, 13. Bc6+ Ke7, 14. b2 (threatening Ba3+) Bd6, 15. Bb2 and White has a good game. The move exposes the Black King to an attack. 9....Bxf6 is a lot safer. Other king moves would be susceptible to 12. Bh6+ with the Queen eventually capturing the Rook without loss of time. The alternative move 12....Bd5 would be answered by 13. c4 driving off the Bishop. If 16....Bxh6, White wins with 17. Bxe6+ Kg7, 18. Qf7 mate. Black puts additional pressure on the e4 pawn. White offers the e-pawn in exchange for an open file. If Black plays 6.... Bxc3, 7. bxc3 Qxe4, 8. 0-0 N8e7, 9. Bf3 Qg6, 10. Nxc6 bxc6, 11. Re1! followed by 12. Ba3 and Black's Knight will be hopelessly pinned. An unexpected move. White creates havoc along the kingside. It seems that White does not run out of resources. It is bad for Black's King to retreat, e.g. 14.....Kg7, 15. Qg5+ Kh8, 16. Qxf6+ Kg8, 17. Qg5+ Kh8, 18. Qh6 and Black cannot parry the simultaneous threat of Qxf8 mate and Qxh7 mate. Hoping to bring the Bishop into play. Black realized it is futile to fight. White is assured of victory after 20....Kh4, 21. Rh6+. If 20....Kxg4 then 21. Rg1+. If 20....Qxg4, then 21. Rh6+ mate. Black invites White to play the Sicilian Defense, hence this opening becomes, on the part of Black, the Sicilian Invitation. White intends to play 8. Nd6+. Black's last move renders it unplayable. Aggressive players would have preferred the more aggressive 10. Nd6+ thereby displacing Black's King. Certainly not 14.....Rad8, 15. Nxb7! Rxd3, 16, Nxa5 and Black comes materially ahead. The immediate pawn capture 17. Bxh7 is not plausible because of 17....Kh8, 18. Qc2 Nd4, and Black captures either the c-pawn or the h7-Bishop. Opening the e-file enables Black to penetrate White's defense. White resigns, Black is assured of victory after 26. fxe4 Bg4+, 27. Kf2 Qxh2+, 28. Ke3 (not 28. Kf1 Rf8 mate) Qg3 mate. Black would give the same reply if White moved the Bishop instead of the Rook in the 25th move: e.g. 25. Be3 Rxe4, 26. fxe4 Qg2+, 27. Bf2 Bg4+, 28. Ke3 Qg3 mate. The Closed Variation of the Sicilian Defense. This variations avoids the early exchange cxd4 and instead promotes solid central pawn structure. If 13....Nxd5, then 14. Bxd5 Bxh4, 15. Qh5 Bg5, 16. Bg3 and White has a good attack on f7. If 14. Bxb5 Nxd5, Black relieves tension in the center and maintains pressure on White's pieces. The reason behind White's sacrifice. Black's kingside defense is destroyed. This move only enhances White's position. White's Queen would now be able to control the d3-h7 diagonal. If 19. Qh3+, Black defends with 19.....Nh7. Black beats White to the control of b2-h8 diagonal. Caught by surprise, Black realizes that mate is inevitable after 24.... Kxh7, 25. Rh4+ Kg6, 26. Rh6+ Kg5, 27. h4+ Kg4, 28. Ne3+ Kg3, 29. Rf3 mate. See the other variations of the Caro-Kann Defense. The Classical Variation of the Caro Kann. Black intends to post his Knight at c5. The fireworks begin. White slowly destroys Black's kingside pawn structure before pouncing on the beleaguered King. By sacrificing the Rook, White creates a weakness on the g6 square, which will ultimately cost Black the game. The intruding Bishop cannot be captured because of 23. Qg6 mate. If Black decides not to capture (23.....Kg8), then the game continues 24. Qg6 Nf8, 25. Bxf8+ Kxf8, 26. h6! Nh5, 27. Ne5 and mate next move. Black has no defense to White's next move: 25. Ng5 assuring mate by Qf7. If 24....Kh8, then 25. Ng5 Rf8, 26, h6!! and mate next move. The Saemisch Variation. Instead of the usual f4, White chooses to solidify support of the e4-pawn. The Yates Defense, which invites White to push forward the d-pawn thus opening the long diagonal for Black's Bishop. A brilliant surprise move, with the objective of weakening White's central position. Effectively pinning the Bishop. White has no choice but to give up the piece. If 18. Rd3, then 18....Qe1 putting additional pressure on e3 while attacking the Knight at b5. White might have fared better had he placed the King at h1. The text move limited the movement of his own Rook. White resigns, as he cannot prevent mate at d1. If 26. g3, then Black still wins with 26....Rd1+, 27. Kg2 Rg1 mate. The Flank Variation of Fischer-Sozin Attack, Sicilian Defense. Attacking the Rook at a8. Black has no choice but to defend it. White keeps the pressure, controlling most of central squares. White could have moved 16. Nxg7 but then Black's reply Kf7 would have the Knight stranded. White begins an all-out attack. If 16.....gxf6, then 17. Qg7+ Ke8, 18. Qxh8. Black's Queen has nowhere to go. If 19....Qe8, then 20. Ng5+ enabling Queen's capture. The exchange 20....Bxg5, then 21. Qxg5 Qc7, 22. f6!! favors White. Of course not 22.....Kf7, 23. Nd6+ double-check. Black's King cannot escape White's onslaught. If the game continues 23....h6, then 24. g7!! Rh7, 25. Nf6+ Kf7, 26. g8=Q+! Qxg8, 27. Nxg8 Rxg8, 28. Re7+ Kxe7, 29. Qxg8 and White is assured of victory. Not 16. Nxb6 because White would lose its control over a3. If 18....Nf2+, 19. Rxf2 Bxf2, 20. Nd6+ Kd8, 21. Rf1.. and White attacks the pawn on f7. Now White begins to atack. This Knight fork aims to dislodge the c7 Bishop from its post. If 23....Kb8, then 24. Bxd6+ Ka8, 25. Bxc6+ Bxc6, 26. Qxb6 mate. An ingenious way of dealing with Black's threat of mate at f1. Now, White threatens Ba6 mate. If 25....cxb5, 26. Qa6+ Kc7, 27. Bxd6 mate. The Rubinstein Variation, popularized by the famous Polish chess grandmaster, Akiba Rubinstein. The Blackburne Defense, named after Joseph Henry Blackburne, who dominated British chess in the latter part of the 19th century. Theory suggests not to exchange Bishop for a Knight without gaining anything. The Bishop should have taken the pawn instead. Getting the Queen out of the way. If 19. .... Bxg2, then 20. Bh7+! The real reason behind White's 14th move. White uses the Bishop to create a solid block at the center. This comes as a surprise. Black expects 19. Bxc5. Not 21. .... cxd3, 22. gxf6 and the attack becomes devastating. A brilliancy! A Queen sacrife to promote a pawn. If 22.... f6, then 23. gxf6 Nxf6, 24. Bxf6 Qxf6, 25. Qxf6 and the attack becomes overwhelming. A superb innovation. It is necessary to keep the Black King at g8. For if 24. h7, then Black neutralizes with 24.....Qh4. Black cannot prevent being mated by the h-pawn via promotion. This Knight position is more valuable than the Rook taken by White's Bishop. The Queen attacks the Knight and controls the a6-f1 diagonal. A useless move. But White has nothing better. If the Bishop is taken then 20....Qb6+, 21. Ke1 Rxe5+ Kd2, 22. Qd4 mate. If 20. Bxc2, then .....Qxg4+ 21. Kh8 Bxf4 and all squares attacked by Black will be defended. The reason behind Black's 19th move. Now White crumbles. White hoped for 22....Bxe3+, 23. Ke1 and the King escapes! Now, Black threatens 23....Re2 mate. A beautiful finale. For more articles about Adolf Anderssen, click here. If 21....Bf7, then 22. Rxc6! with advantage to White. The Queen's capture leads to mate. A superb ending! The Greco Gambit allows the e4 pawn to be taken in return for an open file. In this game, the gambit was declined. This author suggests 7. Nc3. Now, if 7.....Nxe4, then 8. Qc2. A weak move. Nbxd2 is much better. Of course not 15.....Rxf7 because of 16. Re8+. Black threatens White's f-pawn and Bishop at the same time. White decides to keep the Bishop, ignoring the safety of his King. A brilliant Queen sacrifice. White has no choice but to accept the offer. The aggressive Evan's Gambit named after the Welsh sea Captain William Davies Evans, the first player known to have employed it. The idea behind the move 4. b4 is to give up a pawn in order to secure a strong centre and bear down on Black's weak-point, f7. The Compromised Defense. In this variation, White plays a gambit and gains a tempo, while maintaining threat at f7. With the gambits, White opens the e-file and the a1-h8 diagonal. Both sides struggle to control them. Another gambit. White intends to fully control the long diagonal. It does not matter now if the Bishop takes the Rook; the effect would be the same. Black cannot escape the mating threat 18. Bf6+ without losing the Queen. If 17.....Qh6, 18. Bf6+ Qxf6, 19. Qxg8 mate. A spell-binding finale. A surprise move! If 19....Kxg7, then 20. Bf6+ Kg6, 21. Qf3 and mates eventually. If 20....Bxe2, then 21. Nf5+ Kg8, 22. Nh6 mate. Black cannot prevent 22. Ne6+ Bxf6, 23. Qxf6 and mate at g7. If 21....Bxf6, 22. Qxf6 Nd7, 23. Rxd7 with the same result. The Open Variation. White sacrifices the e4 pawn to keep the e-file open. The Howell Attack, popularized by David Howell, the youngest chess grandmaster in the United States, a title he earned in 2007 when he was 16. The reason behind White's 11th move. White intends to control the c-file. Black intends to move c5. Black intends to protect the d5 pawn at all cost. If 18. Rxc6, then 18....Qd7, 19. Rdc1 Rac8, etc. The Rook cannot be taken by the Queen because of 21. Nxe7. Now, if 20.....cxd5, then 21. Rxc8 Qxc8, 22. Nxe7+. If 20....Qc7, then 21. Rxc6 Qxc6, and White still threatens 22. Nxf7+. Black loses more material. Now, if 21.....gxf5, then 22. Qg3+ and mate next move. The Reti Opening Anglo-Slav Bogoljubow Variation Stonewall Line. This opening utilizes the power of two Bishops and keeps open the central squares for easy maneuvers. White comes ahead in the exchange. In such open positions, the power of a Bishop cannot be underestimated. Black suddenly loses if he takes the Knight: 17....Rxf7, 18. Bxd5!! If 18....gxh6, 19. Bxd5+ and White mates. If the Queen is taken, then Nf7 mate. 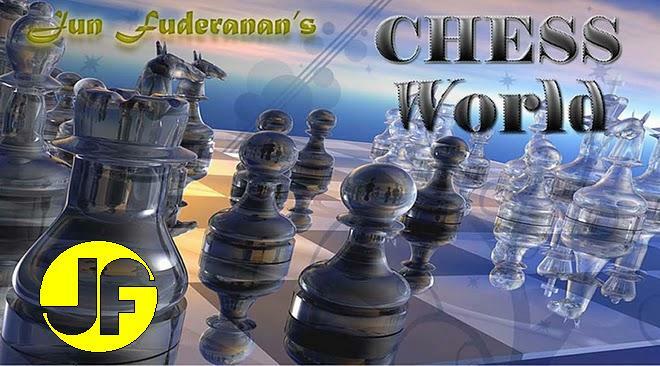 White's most common reply to the Classical Variation of the Sicilian Defense. This is otherwise known as the Richter-Rauzer Attack, threatening to double Black's pawns after Bxf6 and forestalling the Dragon variation by rendering 6...g6 unplayable. If 13.....Nxf3, then 14. exf6 Nxd2, 15. fxe7 and White would have enough compensation for the Queen. A bad choice for Black. He should have moved the threatened Rook. Black hopes for 20. Bxg3 Qg5+, but White saw the plan. Of course not 22....Ke8, 23. Nf6 gxf6, 24. Rg8+ and White would be more ahead in material. A surprise move! Black has been caught unaware. Black cannot capture the offered Rook because of a threatened mate: 23....Kxg7, 24. Rg1+ Kh8 25. Be5+.... If 24.....Kh6, 25. Bf4+ Kh5, 26. Rg5+ Kh4, 27. Rg4+ .... and here comes the beauty of the thing: 27......Kxh3 (if 27.....Kh5, 28. Nf6 mate.) 28. Nf2 mate. Black, with a Queen to his advantage, cannot take the Rook: 24....Rxg8 because of 25. Be5+ Rg7, 26. Rd8 mate.